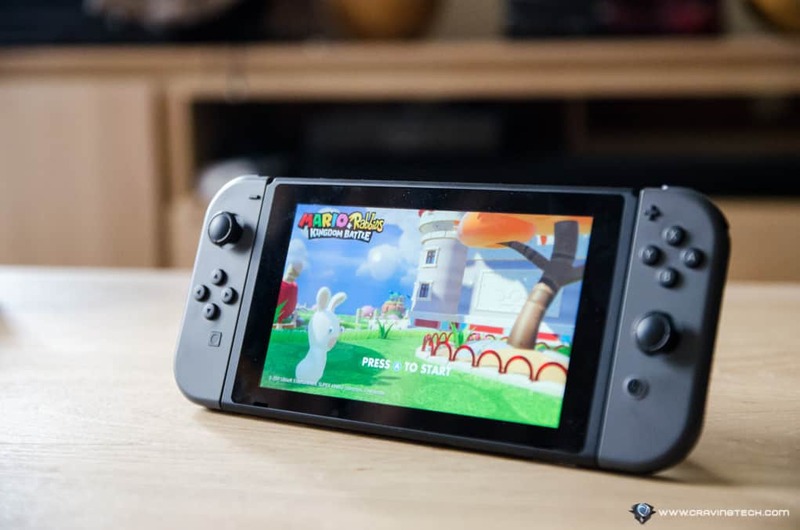 Mario + Rabbids: Kingdom Battle Review – The new game from Nintendo and Ubisoft for the Nintendo Switch (check our review on the Nintendo Switch console) took me for a roller coaster ride. I was very excited when I heard that a new Rabbid game was in the making for the Nintendo Switch (I love playing Raving Rabbid 2 with friends on the Nintendo Wii). I then got disappointed knowing that the game was not going to be of a similar genre, especially that it would be a merge between the Mario and Rabbid world, tailored more for a single player experience. I wasn’t sure what to expect. But when I saw the Mario + Rabbids: Kingdom Battle trailer for the first time, I was sold (and so does every other doubter out there). The hype went up and after playing the final game for a couple of weeks, it’s clear that this is a really awesome game. The idea to mash Mario and Rabbid together is definitely out of the box (who would have thought? ), but executed really well. 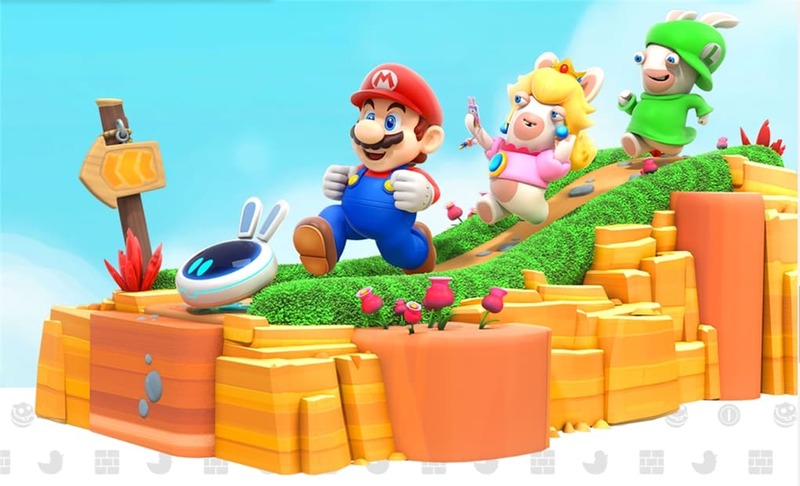 The story explains how the crazy Rabbids managed to get into Mario’s world, the Mushroom Kingdom, and how you need to save it through a variety of turn-based battles and simple puzzles as you explore and fight your ways through. If you’ve played Raving Rabbid games before, you’d surely expect things to get crazy and giggly. 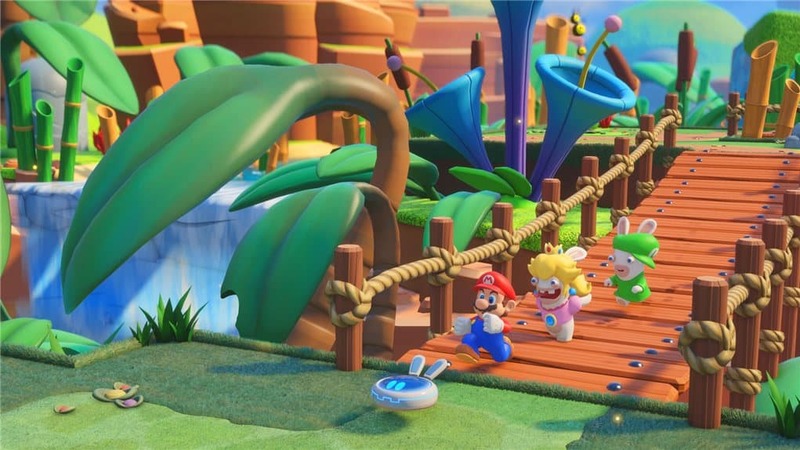 The cut scenes as the story progresses always bring a smile or giggle, and bring immersion into the Mario + Rabbids world. The stars of the show are definitely the Rabbids as they do their silly Rabbid things like taking a selfie while fighting the boss, or be a jumping menace whenever they can. The battles are turn-based like X-COM (which I really love) and require a degree of planning, positioning, and having a good team composition. 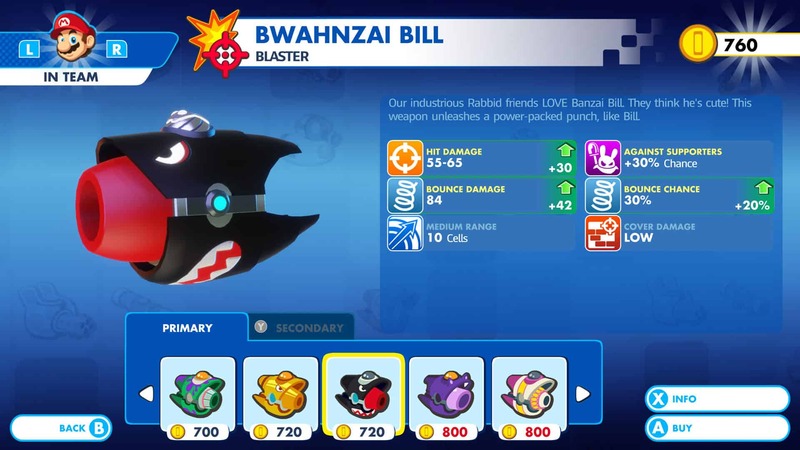 You’ll unlock more heroes/team members as you progress through the story (either a character from the Mario world or its Rabbid’s counterpart), unlock and buy better weapons, plus allocate the right skill points. As each character has different specialisations, you can mix and match your team as you see fit, to complement your fighting style and to counter the enemies’ composition. Thankfully, you can always do a quick restart on a battle if it’s not in your favour and change a team member to test things out. The battles are varied from simple to challenging ones, and occasionally you’ll have to fight a boss – which makes things fun and varied. There are tons of things to do and collect in the game, plus challenges to complete which will earn you some coins (for weapon purchases) and skill points (to unlock skills). This requires you to go back through previously explored areas (which I’m not to keen about), but thankfully you don’t have to fight the same battles all over again. Because you share your skill points between characters, it’s quite important to collect these skill points as much as you can so you can unlock more skills on the other characters. Mario + Rabbids: Kingdom Battle is the type of game that you can play off TV, because you can pause it anytime and the battle is also turn-based which doesn’t require you to always focus on the screen at all times. I’d happily play this on the train or while waiting on the bus to arrive. Tons of fun, tons of giggling, tons of battles and progressions to unlock definitely have made Mario + Rabbids: Kingdom Battle one of my favourites game of all time! 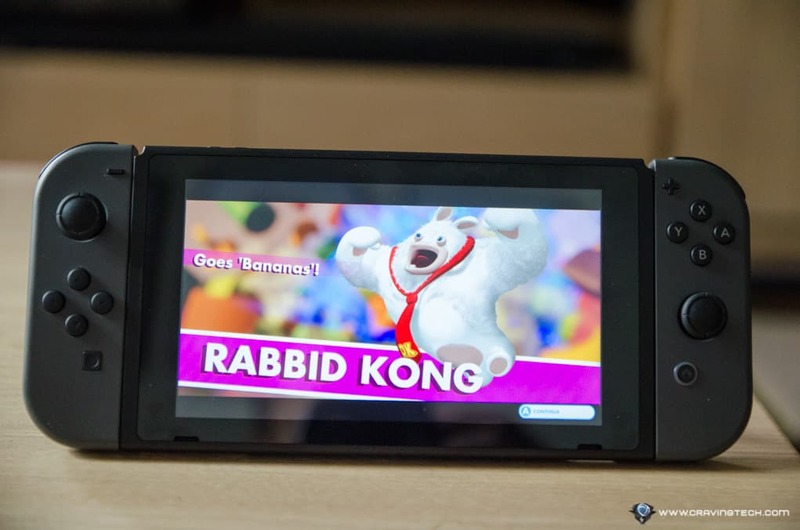 But to be honest, I’d want to see a “Raving Rabbid” game on the Nintendo Switch at some point. 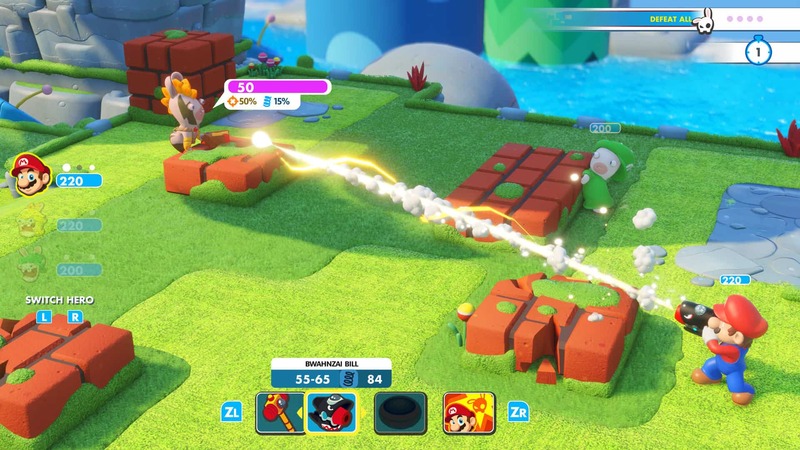 There is a multiplayer element on Mario + Rabbids: Kingdom Battle but single player is where the game really shines.